The original Real Racing was a very playable yet basic racing game that got the fundamentals right and earned itself a following among mobile gamers for being the Gran Turismo or Forza of the platform. Real Racing 2 improved on the graphics, gameplay and included content in every way but stuck with the same standalone price point, also earning well-deserved praise. After Apple used Real Racing 3 to show off the iPhone 5’s capabilities at their press event, it took a little long than expected to release the brand new Real Racing 3. In addition to brand new multiplayer options and the best graphics yet in a mobile racing game the game makes another change – the “freemium” free-to-play model. So, does the new model work? And is the final game as good as can be expected from this triple-A franchise? Just to be clear Real Racing 3 has been released on iOS and Android, and the version we’ll be looking at in this review is the iOS version on an iPhone 5. The franchise has gone from strength to strength with each new release, prompting EA to buy-out the developers – indicating there’s still more to come from this top handheld racing series. For the first time ever Real Racing is a free-to-play title. This model works for a large number of mobile racing games – we’ve recently reviewed two good examples, time-based management games Pixel People Splice Genes & Build A Utopian City In Pixel People For iOS Splice Genes & Build A Utopian City In Pixel People For iOS It's a city building game with a twist - instead of dealing with economics, politics and waste management, you just build a utopia. For fun. And you clone people too! It's a creative, methodical but... Read More and Pocket Planes Pocket Planes: A Pixel Perfect Airline Management Sim From The Creators Of Tiny Tower Pocket Planes: A Pixel Perfect Airline Management Sim From The Creators Of Tiny Tower After spending the last 48 hours passing through various airports, sleeping very little and being crammed into economy airplane seating I don't think I'll ever consider a career in commercial aviation. Jet lag aside, there... Read More . The question many will be asking is does it work for a racing game such as this? From what I’ve seen, yes it does. Like most free-to-play games there are two currencies, one that can be earned easily in-game and another more sparse premium currency known as gold. The game awards you gold each time you level-up, and each race you take part in earns standard currency. There is time-based management involved as well, albeit less than similar free-to-play titles. Every six or seven races or so you will need to service one of your car’s components, and this involves waiting or spending some premium currency to skip. After playing the game for a good few days, buying a new car and performing upgrades I’ve yet to experience a “paywall” which is often the case with the “freemium” model. 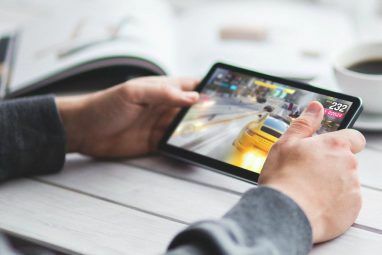 The game keeps you topped up with gold and other currency is easy to earn, though if you want to race ahead then the option is there with in-app purchases that deliver cars, cash and gold. Of course, the racing itself is a lot of fun and that’s where the game’s real appeal lies. If you’ve played and enjoyed any of the recent Forza or Gran Turismo games then you will instantly gel with Real Racing. The game goes out of its way to make the experience enjoyable, almost to a point where it’s too easy to begin with. The mobile racing games uses racing aids to help with steering, braking and traction control. With all of these turned on all you really need to do is occasionally break and steer a bit. If you’re up for more of a challenge I’d definitely recommend turning down the braking assist which also helps with overtakes. There are plenty of options for controlling the cars too, with a choice of tilt-based steering, auto-acceleration as well as left-hand friendly modes. The graphics are as good as screenshots suggest, with no slowdown whatsoever on an iPhone 5. In addition to the surprisingly immersive in-car view there is a bumper cam, bonnet cam and a chase view. The result is a game that feels like a full-priced console racer for free, on your phone or tablet. It’s odd, but I’m not complaining. In addition to officially licensed cars from the likes of Ford, Nissan, BMW and more exotic manufacturers like Koenigsegg there are also real-world locations including Laguna Seca, Indianapolis Motor Speedway and even city-based circuits in the developer’s home city of Melbourne, Australia. These tracks mix it up with multiple configurations, and offer a 22-car grid for the first time in the series. There are a multitude of modes in Real Racing 3 to keep driving enthusiasts happy and to avoid every race being the same. These game modes vary from Speed Snap which requires you reach a certain speed in a set time to frantic elimination races in which the driver in last place gets eliminated until the race is over. These modes inject a bit of variety into an otherwise very solid racing game and all can be played using the game’s Time Shift Multiplayer mode. This mode is unlocked once you’ve bought your first car and completed a few races and allows you to take on AI-controlled friends from Game Centre and Facebook. The technology takes their performance on a given track, hands over to an AI and allows you to race despite the other person being offline. 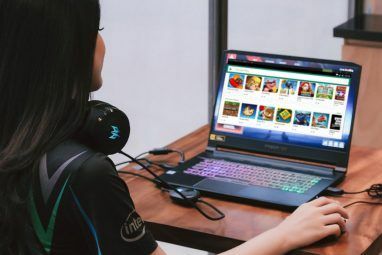 In fact, standard AI in games are taken from the global pool of players as well as connected services, so don’t be surprised to see your friends racing alongside you. The Time Shift Multiplayer feature has been shouted from the rooftops by the likes of EA, and while it’s pretty cool and nice to have there, it wasn’t the be-all and end-all of the game for me. Call me old-fashioned but I’d have liked some head-to-head multiplayer over local connection (or even the Internet) and I’d even pay for an in-app purchase to unlock it. That’s probably a big ask for a mobile racing game that’s already clearly been in development for some time, but I have to find something to complain about. That is of course a big compliment, to be expected from a game as polished as this. 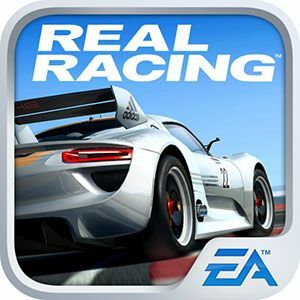 Real Racing 3 is the best EA game What’s The Deal With EA's Origin & Is It Really That Bad? What’s The Deal With EA's Origin & Is It Really That Bad? There’s been a plenty of uproar, whinging and general dismay at EA’s decision to combine their online store and download client into one “Steam-beating” package: Origin. Since its announcement the software has been on the... Read More I’ve played in a while, and this latest outing is easily the king of iOS racing games (and possibly the same for Android too). The free-to-play model is a clever way of getting potential players thoroughly addicted without being too limiting. Many of you will prefer the outright purchase model, but similarly won’t find the “freemium” option too limiting. Get it, you won’t regret it! Explore more about: iPhone Game, Mobile Gaming, Racing Games. It's even better than some games from other gaming platforms and consoles, although it does drain the phone battery as fast as the cars that are featured in it. Graphics are mind blowingly detailed, wouwww! It's like the first game I've been able to get on with using tilt to control precise movement. There are a lot of driving aids enabled by default, but they actually make the game ultra-fun rather than spoiling it. You still feel like you're screaming round a track and in control. I also love the fact that I can race in my city, Melbourne! Every review I've heard seems to think that the game is ruined by the in-app purchases. This wouldn't surprise me, as it's par for the course with EA. It's really not that bad, at least I haven't thought so. I've played quite a lot, as have a few friends, and the game is so good that the IAP stuff doesn't really matter. For free you might as well try it out, if you can. It's a hefty ~700MB download, though. Mobile Gaming will be making a huge jump in the next 6 months!!! The first «big jumps» I've remembered were those from Bomb Jack, decades ago, ahahah! Well, lets hope so, regarding your comment, but why do you say that? New devices coming or just some software evolution? There are a lot of new products coming out soon. Phablets, nvidia mobile gaming system, etc. This means mobile gaming is going to go through an evolution that has never been seen. Also there are some manufacturers that are beginning to specialize in only their sectors like Intel and Logitech. I've heard of some of those, not all, but some. Some serious devices coming to the market... Despite that, I still don't feel that they can provide (hardware providers) such a breakthrough. I believe that games, obviously, evolve, but not much more than hardware itself, meaning that we are going to see a reasonable amount of evolution, but, like I've said, it is only my point of view. I might not be seeing all the angles! I don't see it myself. I think iOS has been the biggest shake-up for handheld/mobile gaming in that it created a market, two devices and a truckload of games that suit the platform. Android gaming exists, but the market really is nothing like the one Apple enjoys and nor are the apps. I also don't think nVidia's wireless display joypad thing will revolutionise anything - it'll be restrictive and niche, two things that don't bode well for a new product. 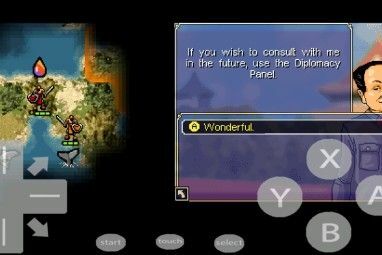 I think the next big thing for mobile gaming will probably involve hybrid set-top and handheld consoles, smartphone connectivity with said devices and through the games themselves. you let your Ipown slip their..
true iOS apps seem to have more polish, its a successful model apple runs with... Android being the younger brother seems to be running circles around them lately. Apps on both platforms are a lot better than they were a year ago... Once you own a iphone its pretty easy to migrate to the next without a huge learning curve. Android has a steep learning curve, migrating to other phone might also mean another curve to conker as well. Still I cant go back to an iphone again.